Spill Control Centre explains the difference between different absorbent pads for different kinds of spill allowing you to select the right one for your requirements. Like golf clubs and kitchen knives, absorbent pads are designed for different tasks, which is why selecting the right one is important. They all have the same general function of cleaning up spills (or catching them as they happen), but it’s what needs to be mopped up that dictates which is the right ‘tool for the job’. These are made using clever polymers or cotton fibres that are hydrophobic. This means they actually repel water, making them ideal for lifting oil from the surface of ponds and streams. The benefit with this type of pad is that its entire capacity for absorption is therefore used on the spill, which needs to be cleaned up, rather than the pre-existing water, which doesn’t. The other benefit of using a white oil absorbent pad is that the absorbed oil changes the colour of the pad, so it’s easy to see when it’s ‘full’ and needs replacing. (The accompanying picture shows these pads in use during an oil spill in Thailand). These are the ones to use to absorb all industrial liquids, including aggressive chemicals, like those that are corrosive or caustic, as well as coolants and any solvent-based spill. It’s important to remember that aggressive chemicals soaked up by these pads remain aggressive, as a result of which two things are worth mentioning. Firstly, as much care should be taken with handling and disposing of the pads as would have been the case with the original chemical itself. Secondly, because of their robust polypropylene construction they won’t break up in or after use, which would make the clean-up unnecessarily awkward and potentially hazardous. These are the ‘Swiss Army Knife’ of absorbent pads. Their strength is in their versatility, since they’ll happily mop up oils, coolants and anything water or solvent-based. They shouldn’t be used on acid, caustic or aggressive liquids; that is where the chemical absorbent pads come into their own. The advantage of these absorbent pads is their versatility and this makes them ideal for a general industrial environment. The oil absorbent pads and the chemical absorbent pads have very specific properties making them ideal for their bespoke functions; but these general purpose absorbent pads offer a wider, more general solution. Each colour-coded category is further sub-divided in terms of quality and pack size, offering you a comprehensive range of products to choose from. Whilst all will cope well from an absorbency point of view, you may feel that your industry dictates selection of a ‘top of the range’ product such as the ‘Gold’ range, which is ideal for aerospace and high-tech industries. 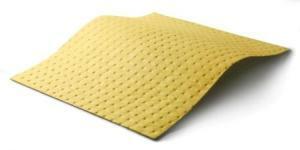 Follow the link to see our ‘Gold’ range maintenance absorbent pads. If you are after a more ‘standard’ product rather than ‘top of the range’ then these oil only pads would fit the bill; they are lightweight in nature and come in a pack of 200 pads. Whilst checking the pack size to work out the number of pads you need, it’s important to pay particular attention to the details. For instance, these heavyweight oil absorbent pads look the same as the ones mentioned in the link above and they are the same pack size of 200; however, they are more of a heavyweight product. At Spill Control Centre, our range of absorbent pads is both clear and comprehensive but should you have any queries please do call us on 01724 281044. This entry was posted in Absorbents and tagged absorbent pads on May 5, 2016 by neil.stocks. 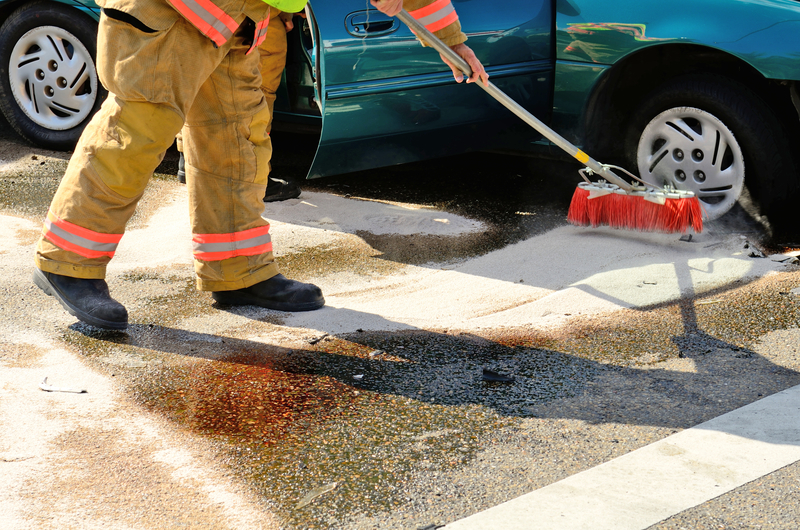 They all do basically the same job, but picking the right absorbent granules for your potential spill requires careful thought. What might be spilled? How much spillage might there be? Spill Control Centre guides you through what’s available, and highlights what each absorbent granule is good at. I can’t help thinking that, every time a customer buys one of our absorbent granule products, they’re ready to perform a little bit of magic because of the science behind the product. It’s as though millions of tiny sponges are deployed over the spill, which can’t be picked up, to turn liquid into a solid that’s easily and safely cleared away with a brush and shovel, or even a dustpan, for the smaller ones. Of course it’s not really magic, unless you count organic chemistry as magic, because that’s exactly what’s happening. Key to the success of absorbent granules is illustrated by their use of cellulose, the world’s most common organic polymer, making up about a third of all vegetable matter. It has a complicated chemical formula involving carbon, hydrogen and oxygen, which makes it a kind of sugar, and we know how readily that dissolves. Science has moved on a little way from using cellulose, though it still works well, to use sodium polyacrylate, which can hold 200 times its own weight of liquid, and is found in disposable nappies. The arrival of alternative chemicals means absorbent granules can be more easily tailored to suit the spill they’re intended to clean up, but their effectiveness is quite remarkable. Take a 10g pack of granules for mopping up body fluids; that can absorb a litre of fluid, turning it into a solid for easy and safe cleaning up. Not only that, but it works equally well on carpet and solid floors. 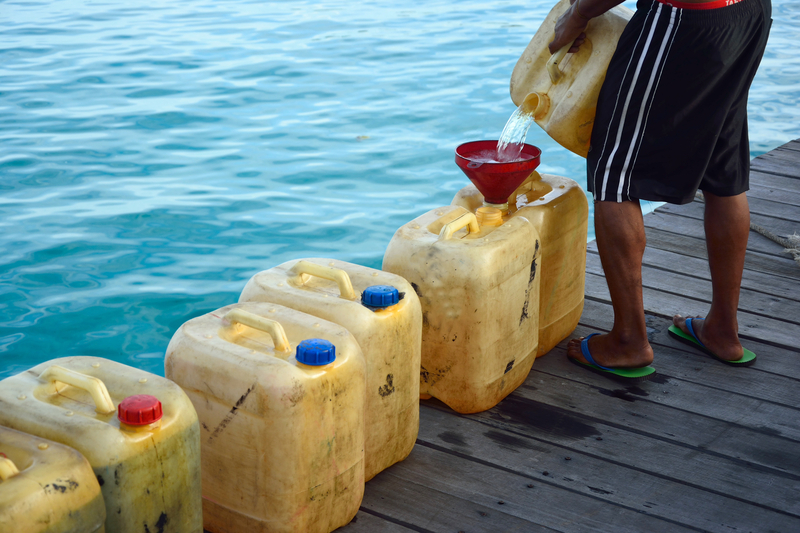 Cleaning up body fluids is a specialised area, and involves far less liquid than other spills such as chemicals, oils, and acids. For these, different materials are available, made from particular kinds of clay and even softwood. Thank Attapulgus for clay granules! The clay, one of the types of Fuller’s Earth, has diverse names like Bentonite, Palygorskite and Attapulgite, all derived from the places they are found – respectively near the Rock River in the US state of Wyoming, in central America, and the town of Attapulgus in Georgia, USA, where it’s surface mined and shipped around the world. The absorbing powers of different kinds of absorbent granules come with a variety of other properties too. Some are suitable for use where vehicles need to go, because they are crush resistant; some are guaranteed to be non-slip, and others are suited to indoor garage areas or haulage yards. Products may also be approved by the Ministry of Defence or conform to European Road Safety Regulations. What they have in common, apart from their absorbing capacity, is that they’re chemically inert and fire retardant to BS 476 Part 7. At the opposite end of the scale from the 10g bag of granules for body fluid absorption are 20kg bags of construction clay granules, which are available on pallets of 70 bags. Between those extremes there is certain to be the right product to deal with any kind of spill, and they are also available thoughtfully packed with appropriate PPE to keep the user safe when there’s a clean up to be done. 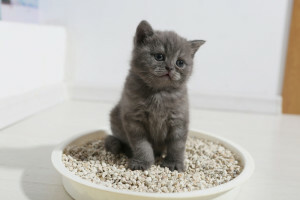 Absorbent granules have a role to play in every cat owner’s home. Cat litter is just one type of absorbent granules product with a very specific use – which the kitten in our picture is just learning about. Check our range of absorbent granules to deal with problematic spills. This entry was posted in Absorbents and tagged Absorbent granules, chemical spill, oil spill, spill on April 8, 2015 by neil.stocks.